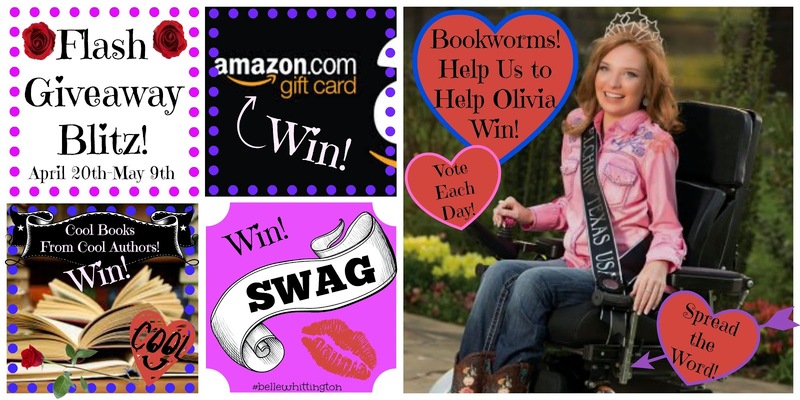 When I learned that Olivia had entered to win a van equipped for someone with disabilities, I wanted to help her win. I immediately knew the right crowd to turn to for help: BOOKWORMS! We book lovers are the warm, deep-hearted sort of folks who love to help others. So, I thought I'd contact a group of my author and bookworm friends to see if they'd like to help me put together a giveaway to reward you for your efforts in helping us help Olivia win! The list of booty is growing, and I'll post changes to the list on the Flash Giveaway Blitz Event Page as more donations pour in from the awesome authors I know and love. Please join the FB event to stay abreast of all the changes. But, before we get to the rules of the giveaway, I wanted you to meet sweet Olivia. So I did a little interview with her to share with you. Hi, Olivia! Thank you for joining us and giving us the opportunity to get to know the cutest little cowgirl in Texas! We Bloggers, Readers, and Authors are so honored to have the opportunity to join together to help you in your venture to win this awesome van! If there’s one thing Bookworms know, it’s this: we can do anything we set our minds to doing! 1. Tell us about yourself. What’s your favorite hobby or occupation? Well let’s see. I’m 21 years old and I’m a college sophomore at Tyler Junior College. I’ll graduate in August with 2 associate degrees: radio/TV broadcasting and agriculture. I grew up showing livestock mainly lambs and heifers, but I’ve shown goats, horticulture projects and a few home economic projects at the ETX State Fair. I am a motivational speaker and have traveled all over Texas speaking. I’m the evening web producer at KYTX CBS 19 and been working there for almost a month. 2. What’s your college major? What do you plan to do once you graduate? 3. Do you have a favorite hobby? 4. What’s your favorite type of music? Favorite band? 5. Do you have a favorite book? I have several. The Great Gatsby, To Kill a Mockingbird, and The Help. 6. Who’s your hero … a person who’s inspired you? I don’t have just one hero. My style comes from Lilly Pulitzer because her stuff stands out and has that classy feeling. My actions come from Jackie Kennedy, because after all “I’d rather be a Jackie, than a Marilyn.” My attitude comes from other people with disabilities or sickness that can’t get out and so I try to show people that even though I have a disability doesn’t mean I’m helpless. I think sometimes I have a better brain and bigger heart than some normal abled bodies. My Aunt Kristi died in December of 2013 and she fought cancer for so many years and never once gave up. She was such a Godly woman and never lost her faith through her journey. I think that’s where a lot of my fighting will comes from is from people like that. 7. What’s the best thing about being a cowgirl? My stubbornness and fighting will. I can stand on my own two feet and I don’t rely on anybody but Jesus Christ. I’ve learned a lot of my patience and responsibility from taking care of livestock. I’ve learned about buying and raising an animal, showing and finally selling to go to the market and I make money to purchase another animal. It has taught me all about life and made me the person I am. 8. Is there anything you’d like to say to everyone reading this interview? Never judge somebody whether they are disabled or not. Go out and chase your dreams no matter how big or crazy it may seem. 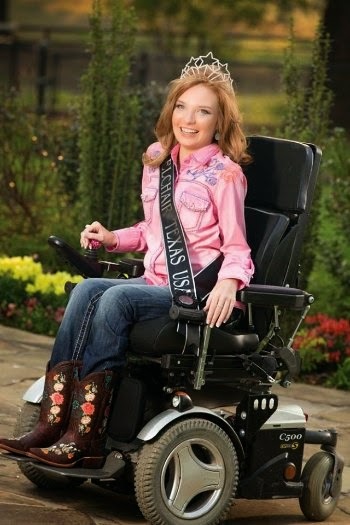 Also vote for me to help me win this wheelchair accessible vehicle. And THANK YOU for helping me win! Thanks, Olivia! That was fun getting to know you better! Now, on to the contest! WOOHOO! There are TONS of AWESOME PRIZES!!!! And it’s EASY TO WIN! Go to the RAFFLECOPTER FORM and earn all the entries! VOTE each day! Don't forget to DOUBLE YOUR VOTE by answering the daily question. TRACEE FORD: two ebooks: Between Worlds (volume 1), and The Fine Line and Idolum: Visions of the Undone. There are several AWESOME BLOGS to visit during the Flash Giveaway Blitz! 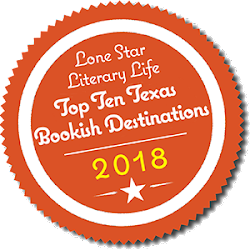 Please stop by and show them some bloggy love! Hey, Y'all! My sweet little cousin, Olivia Alexandra LeVoy, has entered to win a van during the 2014 National Mobility Awareness Month. Winning this van would be a HUGE help for her. 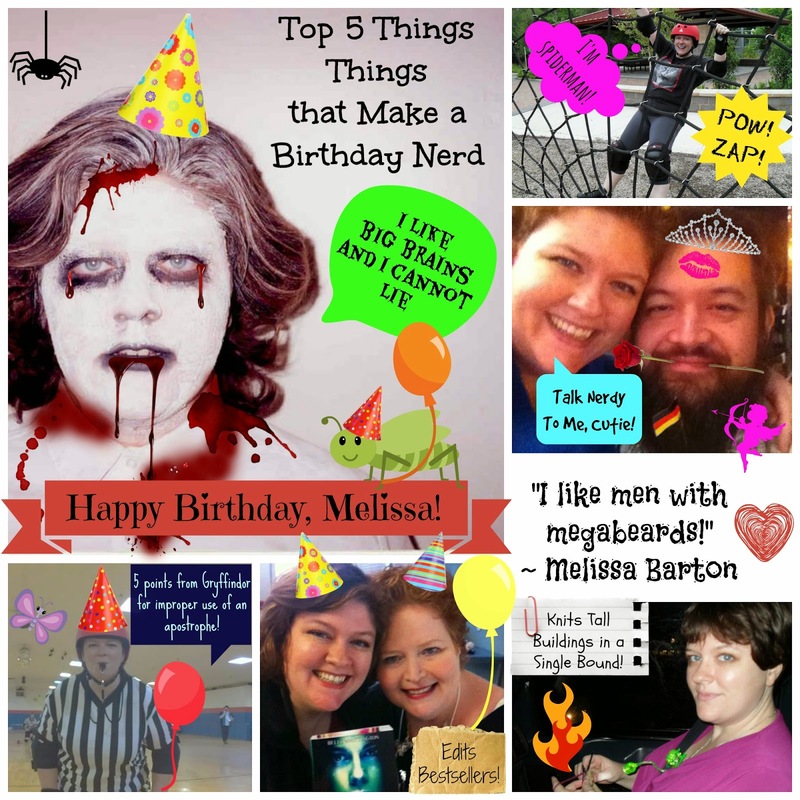 Happy Birthday to My Editor Melissa Barton of Editorch! Today is a wonderful day! It's my editor's birthday! Melissa is an uber nerd, an excellent editor, and a true friend! Stop by the Editorch Facebook page and wish her a very happy birthday, won't you? Click here to find out more about Editorch. Indie Authors, Melissa is the one for you if you're in need of an editor with an eagle eye and excellent rates!